Panasonic 3DO Has Arrived in My Collection! Half way through my work day today I had a nice surprise hit my desk, a Panasonic 3do! I was lucky enough to find a near-mint sdo from a great guy on eBay in the UK. He was kind enough to pack it and ship it across the world to me and arrived safe and sound. The first generation (FZ-1) 3DO is in my opinion much better, nicer looking and more collectable than the 2nd generation console model FZ-10. It is quite a heavy console, feels very well built and feels like an expensive piece of home theater equipment. With the Panasonic name behind it it’s easy to see why. 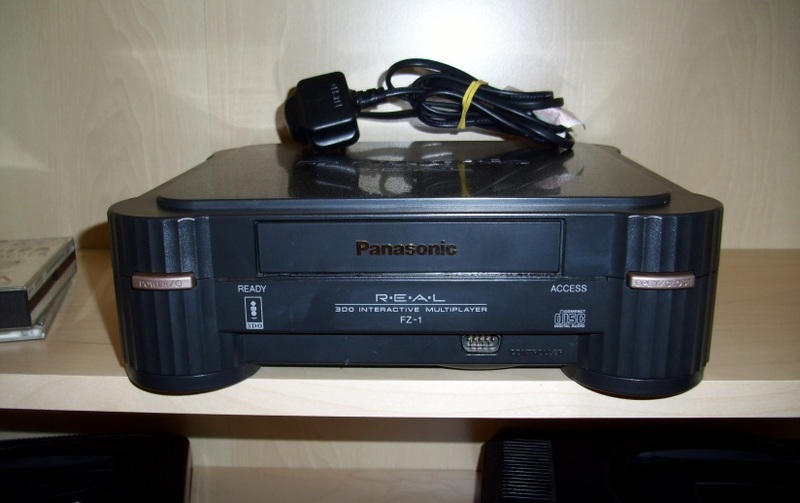 The Panasonic 3DO is a fairly rare console these days. 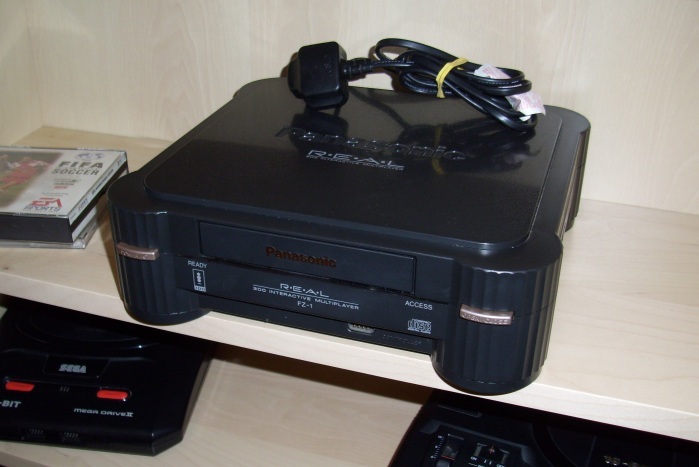 Released in 1993 with a short life span of only 2 years the ‘Panasonic 3DO Interactive Multiplayer’ as it was known struggled to gain solid ground with stiff competition from the likes of the Super Nintendo and Sega Mega Drive/Genesis. The 3DO can lay claim as one of the first CD based video game consoles with some of the more popular games such as ‘The Need For Speed’, ‘Myst’ and ‘Road Rash’ there wasn’t much more on the console that enticed gamers. Despite a highly promoted launch (including being named Time magazine’s “1994 Product of the Year”) and a host of cutting-edge technologies, the 3DO’s high price (US$599 at launch), limited third-party developer support, and an over-saturated console market prevented the system from achieving success comparable to competitors Sega and Nintendo. This console was released in North America on October 4, 1993, Japan on March 20, 1994 and in Europe in 1994. In PAL regions, namely the EU and Australia there weren’t too many sold mostly because of the steep retail price of AUD $699. For 1993, this was a very expensive piece of equipment that only the most spoilt of gamers could afford. This helped keep the console out of the limelight making the console very collectable today. It was quite a powerful machine in its day but the soon to be released Sony Playstation in 1994 blew the 3DO out of the water not being able to match the PSX’s unrivalled 3D graphics performance. Perhaps one of the more interesting parts of the console is the controller port. With only 1 controller port on the front of the console how were you supposed to play multiplayer games you say? Each controller was able to be daisy-chained to another controller with the inclusion of a serial port on the top of each controller. This didn’t give you a lot of movement between your friends but not too many consoles were able to achieve 8 player games at the time so was an interesting concept. On the bottom of the controller you can find a stereo headphone jack which is quite amazing. You can’t claim to be a serious video game collector until you’ve owned a Panasonic 3DO! October 8, 2012 in Gaming.